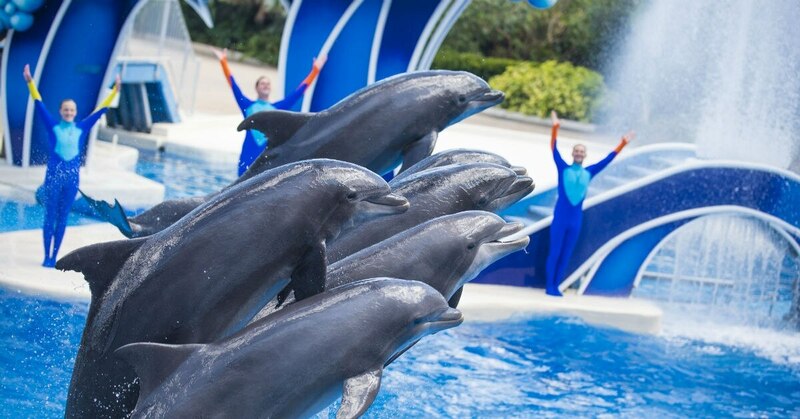 Five SeaWorld and Busch Gardens theme parks are offering free admission to military retirees and veterans, along with up to three guests, from May 24 through July 4. It’s one of many discounts available to the military community as businesses show their appreciation in May and beyond. Other deals include free or cheap meals, low-price event tickets and other savings; for more discounts, including some that are offered for longer periods, head here. While the new theme-park deal applies to former service members, those now in service can get the same benefit (free ticket with three guests) to the same parks via the year-round Waves of Honor program. Veteran discount programs at the part generally are limited to promotional periods such as this one. The free tickets are available online only ― not at the parks’ ticket booths. You’ll be asked to log in to Troop ID from the site to verify your military affiliation through ID.me. Participating parks are: SeaWorld Orlando, SeaWorld San Antonio, SeaWorld San Diego, Busch Gardens Tampa Bay and Busch Gardens Williamsburg. The offer is for a one-time visit to one of the five parks chosen by the veteran. The deal’s value varies by park. At SeaWorld San Diego, it’s a savings of $359.96 for a family of four off the base ticket price. In addition to these offers, currently serving service members and retirees can receive discounted admission tickets year-round to SeaWorld Parks and Entertainment properties through morale, welfare and recreation offices on military bases. Deals also are available at www.WavesofHonor.com, which lists seasonal discounts. More than 9 million service members, retirees and other veterans, and family members have visited the parks for free since SeaWorld Parks and Entertainment started the Waves of Honor program in 2005. Hooters: On Monday, May 28, service members and veterans can receive a free meal from the Memorial Day menu, such as wings, chicken salad, a chicken sandwich or a hamburger. Free menu options vary by location. Professional Fighters League: Service members and veterans can get a 30 percent discount for each of the promotion’s Thursday night cards. The PFL, a new promotion with bouts that will air on NBC Sports Network, will debut its “regular season” on June 7 at the Hulu Theater at Madison Square Garden in New York City. Future cards will take place at the Chicago Theater (June 21) and the GWU Smith Center in Washington, D.C., (July 5); winners of regular-season bouts will advance in a bracketed playoff to claim their share of a $10 million prize purse. To purchase tickets, visit www.pflmma.com and use discount code VET30.